It never fails. Whenever a Republican president makes a controversial or contentious move to support Israel - such as moving the American embassy to Jerusalem, or yesterday's decision to recognize Israeli sovereignty over the Golan Heights - you'll see various "explainers" and other stories that purport to inform progressives why the American Evangelical community is so devoted to the nation of Israel. Thus, the political marriage between American Evangelicals and Israelis represents a cynical form of mutual exploitation. Evangelicals support Israel to hasten the apocalypse, while Israelis (who obviously don't believe Christian eschatology) are happy to humor the Evangelical community and milk that support for tourist dollars and political power. In addition, I'd argue that Romans 11 has enduring significance in the American Christian mind. It begins, "I ask, then, has God rejected his people? By no means!" Paul declares that God "has not rejected his people whom he foreknew." The chapter continues with the assertion that Gentiles have now been "grafted in" to the same spiritual tree, and it concludes with the promise not that all Israel will be burned up in the apocalypse, but rather with the statement that "all Israel will be saved." The end result is a community - including a political community - that believes two things with firm conviction. First, God has reserved Israel as the Jewish homeland, and second, that the creation of modern Israel was an act of divine providence. While there are many Christians who believe this act of divine providence may be a prelude to the Second Coming (whenever that may be), that is miles and miles away from the belief that Jews will burn in a fiery apocalypse. These beliefs are then reinforced by experience and basic morality. It's difficult to overstate the profound impact that a visit to the Holy Land has on a believing Christian. I'll never forget my time in Israel. Not only was it moving to stand where Jesus stood and to walk where Jesus walked, other aspects of the visit bring the miracle of Israel's rebirth into sharp focus. How can you visit the ruins of the fortress of Masada and not grasp the improbability of the journey from total destruction to diaspora to renaissance? Then there's basic morality. As I've written before, from the very moment of its founding, Israel has been subject to repeated, genocidal threats to its existence. It has defended itself in the face of overwhelming odds, faced enduring terrorist threats that we in the United States can't imagine, and built an imperfect but well-functioning democracy that grants all its citizens (Jewish and Arab) a greater degree of individual liberty than the citizens of any other Middle Eastern nation. The pernicious persistence of anti-Semitism heightens the moral case for supporting Israel. There is zero justification for the U.N.'s obsessive focus on alleged Israeli crimes. Actual genocidal tyrants face less condemnation by the U.N. Human Rights Council than does the state of Israel. The Boycott, Divest, and Sanctions (BDS) movement proudly holds Israel to higher standards than it holds the entire rest of the Middle East and most of the rest of the world. 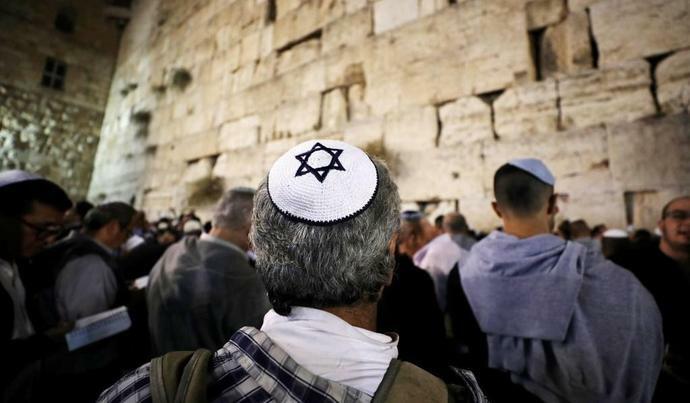 Some of its founders and leaders hope to eradicate Israel as a Jewish state. Yes, you can find Christians who obsessively focus on the end times and try to match each and every significant news story in Israel with biblical prophecies. Those people are out there, no question. But the vast bulk of Evangelical support for Israel rests on faith in ancient promises, wonder at modern miracles, and a deep conviction that evil forces must not prevail against the Middle East's most vibrant democracy.